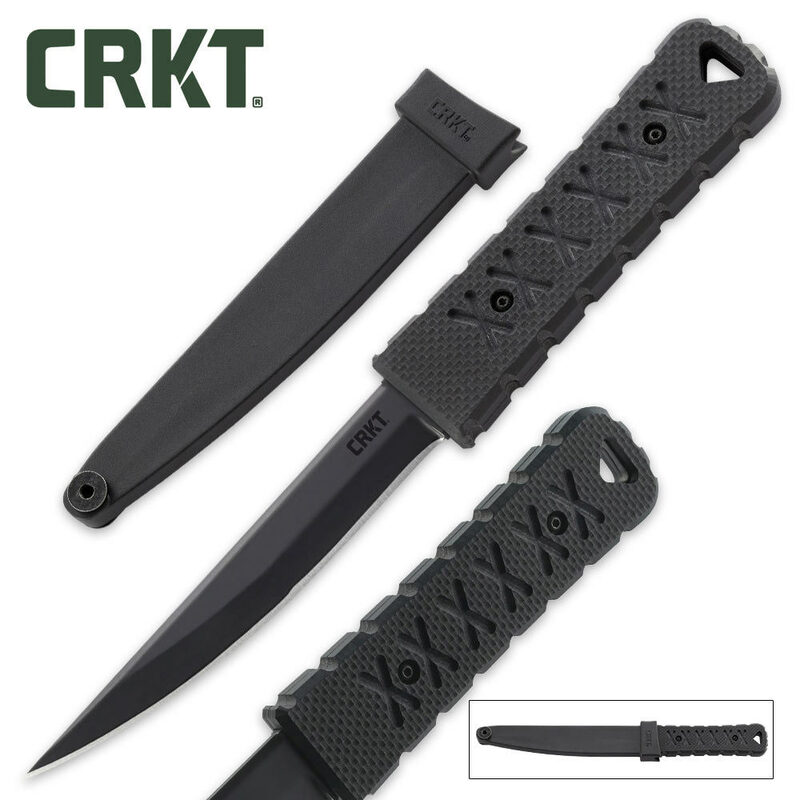 CRKT Yukanto Tactical Fixed Blade | BUDK.com - Knives & Swords At The Lowest Prices! The CRKT Yukanto Tactical Fixed Blade, designed by James Williams, is in one word - 'tough'. 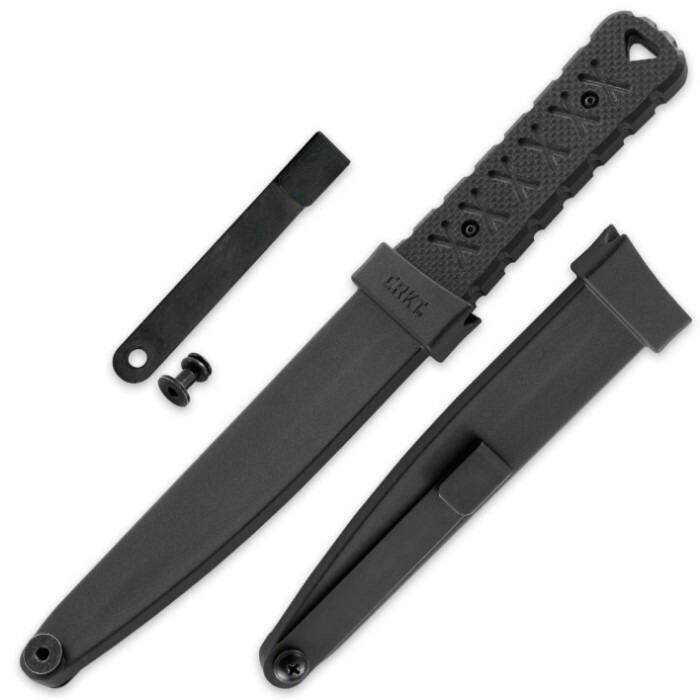 As a veteran, who has trained and taught in several different martial arts disciplines, Williams' knives have been a staple of military special forces. The 4-1/5" blade is made of AUS8 steel and has a modified tanto point for maximum penetration and slashing. 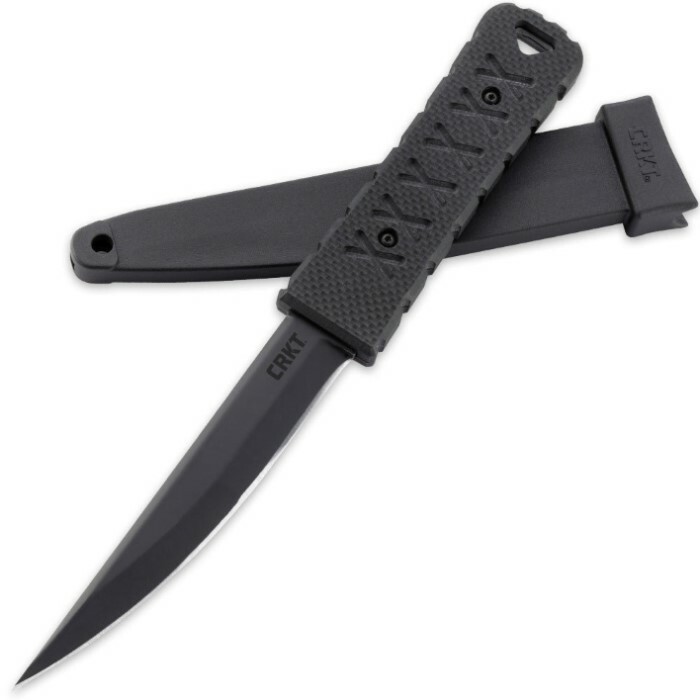 The G-10 handle has a firm, slip-free grip and the package is completed with a molle-compatible gear clip. A glass-reinforced nylon sheath is included. This product comes out of the package razor sharp. The tip on this blade is seriously dangerous so be careful. Love the product and would highly recommend to all BUDK shoppers!